This Hulk Graphic translated really, really well to a pumpkin. 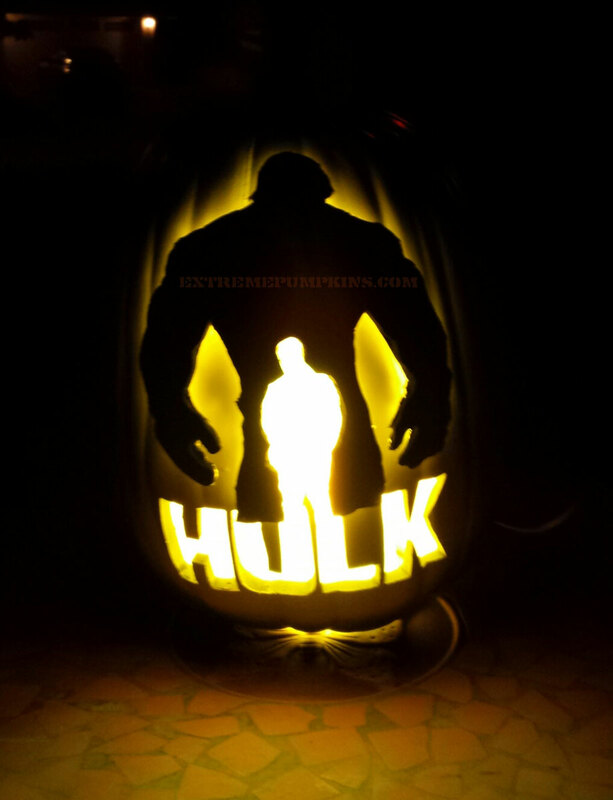 It's a great display for a Hulk fan and a great example of what you can do with a pumpkin. Nice job.